Piracy and control of use (licensing) is a major concern for content developers. 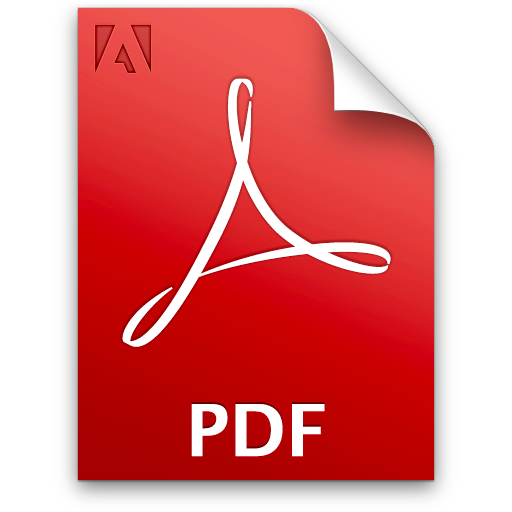 content can be referred as an excel file, a video, a PowerPoint file, Video projects, Photoshop project files with effects, Video editing projects with effects and audio or music etc. T-Safe has come with the best in class security for digital data. 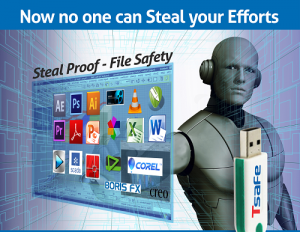 T-Safe is designed for licensing of software and to secure digital contents like audio, video, word, Excel, PowerPoint files for monetization, sale or commercial use. 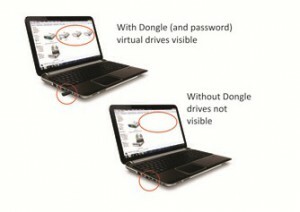 You can License your software's using our TSafe Dongle which is a ready made product and doesn't require any coding, or you can license your software using our customizable USB Dongles(For Programmers). We also Provide Online Licensing and Pendrive Licensing. Now-a-days security of digital data has become a major issue in this hackable computer society. People want to make quick money and can robe you of your valuable digital data. The data could be more valuable than your physical assets like land and building. It is imperative to protect this valuable asset more than any other type of asset. GoSafe provides best in class security for digital data. It is designed to secure digital contents like audio, video, word, excel, PowerPoint files and engineering / architectural designs made in Autocad or SolidWords. GoSafe is suitable for safety of digital content on personal as well as corporate systems. It uses strong AES 128 encryption which is same as used by banks and other high security requirement applications. PCKii is a very simple to use product and best for securing personal data. PCKii creates hidden drives [called Safe] and you can use these hidden drives like a normal drive when PCKii dongle is attached. The drives are not visible when PCKii dongle is removed. GoSafe Drive is designed for secure sharing of information considered to be known only to few people within the organization (Closed User Groups). GoSafe Drive as also be used to protect personal data, financial data and other privacy related informations. 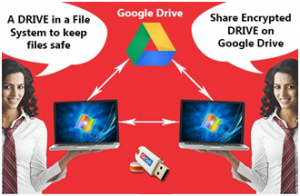 GoSafe Drive works as a normal drive and you can even install your accounting software in it made keep all accounting data in a music or video file. You can protect any type of information stored in your computer and portable storage devices, including: customer data, company records, contracts, financial files, technical documents, personal bank account information, instant messaging history, gaming account information, and personal pictures or videos. Clouds like Amazon AWS, GitHUB, IBM and others allows PuTTY and PuTTY Private Key (.ppk) file to log in as one of the way (for some it is the only way) for terminal login. Using PuTTY and PuTTY Private Key for server login is considered to be most EL RTCCsecured way to log in to servers. They are but only to the extent of data transaction between your system and the cloud server. Within your organization, if an unauthorized person gets hold of the PuTTY Private Key (.ppk) file he can log in to the server. On one hand use of PuTTY private key provide a better security than login id and password but unauthorized access to PPK files increases vulnerability and risk. TSafe2 file Protection for PuTTY is designed especially to prevent unauthorized use of PuTTY private key files (.ppk files). It encrypts the PPK file using AES 128 algorithm and encryption key is stored in a USB Dongle.